On a cold blistery night that had second half rain, the Wabash and Northfield football teams opened their county round robin schedule at Northfield with the Norse shutting out the Apaches 20-0 on the back of 236 yard rushing game from Josh Bickel. The Apaches took the ball first and moved the ball down the field on a 13 play drive that took them to the Northfield 28 before giving the ball over on downs. The Norse and Bickel wasted no time taking advantage of the defense coming up big as Bickel raced 68 yards on their first play to the Wabash 8. Two plays later Bickel scored from 3yds out as the Norse took a 7-0 lead with 5:51 left in the quarter. With the wind and wet conditions the defenses would dominate the rest of the quarter ending at 7-0. The Southwood and Manchester football teams duked it out for four quarters Friday with the final deciding score not coming until 2:36 left in the game as the Knights held on to defeat the Squires 21-14. Southwood would score early in the first quarter when Nathan Hollars broke loose on a 4yd scoring scamper to give the Knights a 6-0 lead, which would be the only score of the first quarter. Manchester would grab their only lead of the night with 3:37 left in the second quarter when Lucas Schilling connected with Keelan Norwood on a 16yd pass play and the Squires led 7-6. Nathan Hollars would run the ensuing kick off back to the Manchester 40, giving the Knights a shot with little time left in the half. The Knights didn’t need much time as Robbie Cole would find Jon Berlier on the second play for a 39yd scoring strike. Cole would run in the two point conversion and the Knights led 14-7 at the half. Lucas Schilling and Bailey Ness would connect with 7:26 to go in the third quarter to knot the score at 14 when the rain started to come down and change the way the game was being played. The third quarter ended with the score tied at 14. The calendar will turn to October before our next high school football Friday night, and the TRC conference schedule rolls on, but now there is an added aspect. For the final three Fridays, all are county match ups. The first match ups are Wabash traveling to Northfield for a border battle. The other one is Manchester hosting Southwood. Both games are 7 p.m. kickoffs. Jim Landrum will join me on the web cast from Manchester High School. We will broadcast beginning at 6:50 p.m. with the set up of this long time county match up. We hope you will join us. Also, an added feature this week, don’t forget to join the web cast for volleyball action as Northfield travels to Manchester for a great match up on Tuesday. It should be broadcasting at 6 p.m. Check out Wabash WebTV for the archived game. 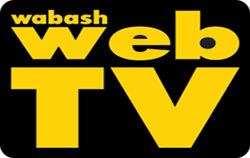 Join Wabash WebTV for exciting action of Indiana High School football and now volleyball. If you are at a game or cannot watch it live, an archive of the featured game is available on the website shortly after the completion of the games. Three of the four county high school cross country teams were participating in invitationals Saturday with Southwood running at New Haven, while Manchester and Northfield were at Culver. At New Haven, there were three classes(A-AA-AAA) with the Knights running in the middle(AA). The girls team finished 10th, led by a 22nd place finish from Emily Lehner. Ellie White placed 29th, Haley Heath 30th, Taylor Heath 74th, Kassidy Atwood 86th, Brooke Elliott 99th, Emma Peebles 122nd, Emmy Titus 123rd. There were 171 runners in the race. The Southwood boys placed 12th. The Knights were led by Aaron Ross in 41st place. Michael Lengel was 50th, Josiah Friedersdorf 62nd, Chase Guenin 80th, Jonathan Collins 86th, Lucas Topliff 118th. There were 175 runners. At Culver, there were three races being open, closed and elite. The Culver Invite is the largest invite in the state and one of the largest in the country. The Northfield girls ran in the elite race with all other teams running in the closed. In the closed girls race Manchester finished 10th. The Lady Squires were led by Clara Burdette in 39th. Kaitlyn Blum finished 44th, Natasha Niccum 60th, Emily Lynn 64th, Sophia Reifeltshammer 82nd, Alexis Vernon 86th, Molly Woods 99th. There were 172 runners. The Northfield boys won the closed race, led by 3rd place finisher Devin Tracy. Austin Frye was 10th, Joe Burcroff 11th, Austin Andrews 18th, Heath Miller 45th, Noah Shear 56th, Matt Carey 81st. Manchester placed 19th. The Squires were led by Matthew Fahs-Brown in 4th, Tommy Rohr 12th, Taylor Heckman 138th, Ben Reichenbach 163rd, Montgomery Pattison 165th, Jimmy Curtis 178th, Jeremy Herrmann 189th. The Northfield football team grabbed a quick lead and led 7-6 at the half over Whitko Friday before a second half rally by the Wildcats gave Whitko a 27-7 win over the Norse. The Norse grabbed a 7-0 lead in the first quarter on a Carter Frieden one-yard run to lead 7-0 and held Whitko scoreless in the first quarter. In a game that was a stale mate for nearly two quarters, the Wildcats scored with 59 seconds left in the first half and with the extra point failing the Norse led 7-6 at the half. With the Norse offense puttering in the second half, Whitko would score twice in the third quarter and once in the fourth to defeat the Norse 27-7. Carter Frieden was 6 of 13 for 85 yards. Jarred Short, Dylin Brown, Bryce Kendall and Ryan Driscoll each had one catch. There was a major explosion at Southwood Friday night in the first half and it was called the Knight offense. Southwood erupted for 35 first half points to lead 35-7 then held on for dear life to defeat North Miami 42-27. The Knight defense set the tone right off the bat, holding North Miami on their first possession to set the offense up for their first strike. With 8:09 on the clock, Robbie Cole found Andrew Finicle from 19 yards out to give Southwood a 7-0 lead. Two and a half minutes later, Cole connected with Danny Goff for a 40-yard scoring strike as the Knights led 14-0 with North Miami driving when the quarter ended. North Miami would score on the first play of the second quarter, but that would be the end of the Warrior scoring in the first half as the Knight defense shut them down while the offense went off. Cole would throw his third touchdown of the game when he found John Berlier open with Berlier racing 71 yards for a score and a 21-7 Southwood lead. The Knights would then surprise everyone with an onside kick that was recovered by Austin Schlemmer. Cole wasted no time, connecting with Goff for a second time for a score, this time from 30 yards out to lead 28-7. With the air attack clicking on all cylinders the Knights would get their next score on a Nathan Hollars run and open a 35-7 lead with 8:00 left in the half. North Miami would get the final score of the half with 4:06 left on a 35-yard run as the Knights took a 35-14 lead to the locker room. The Lady Knight Linksters finished 11th place at the IHSAA Regional at Cobblestone Golf Club Saturday with another new school record 18-hole score of 358. Leo won with a score of 336. Bishop Dwenger was second while Wawasee nabbed the final spot to the State Meet. Sophomore Dayna Dale led the Knights with a new school record score of 77 that included another new school record score of 37 on the front nine. Abby Houlihan and Danielle Pegg each shot 92 while Danielle Sparling added a 97. Paige Dempsey shot 103. Dayna’s score of 77 put her in a three way tie for the fifth and final spot for advancement to the state meet in Carmel next weekend. So, after a few tense moments, a three-way playoff ensued. Unfortunately, Dayna was eliminated on the first playoff hole when her par putt slid by the edge of the hole. The Knights finished the season with an overall team record of 64-17 that included a perfect 19-0 record in dual/triangular meets. Fresh off their win over North Miami last week, the Wabash football team was looking for a second victory in a row Friday over Tippecanoe Valley with things looking good for a half before the Vikings took advantage of some costly Apache mistakes and penalties to out score Wabash 15-0 in the second half to defeat the Apaches 31-20. The Apaches were forced to punt on their first offensive series and the Vikings responded with a 15-play scoring drive that consumed a majority of the quarter to lead Wabash 8-0 after a two point conversion. On the ensuing kick off, Ben Dillon would field the kick and race down the left sideline 65 yards to pay dirt, drawing the Apaches to within one at 8-7 after the Owen Yeadon kick. Valley would strike first in the second quarter with 5:17 left to take a 16-7 lead after two, but again the Apaches wasted no time closing the gap. On their second play after the Valley score Chase Dirig found Trevor Vest cutting across the middle, connecting on a 43-yard scoring strike to make it 16-14 with 4:15 to play. The Wabash defense would hold Valley and give the Apache offense one more shot before the half after a Levi Robinson interception. Wabash had the ball on the Valley 40 and eventually had to try a 46-yard field goal with 7.3 on the clock that fell short with Valley leading 16-14 at the half. 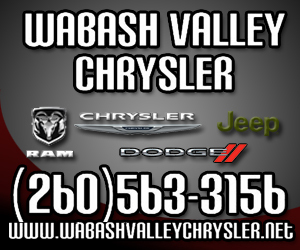 Valley would own the third quarter, scoring with 7:00 left then doing it again with 2:58 remaining to lead 31-14 and Wabash driving at the end of the quarter.